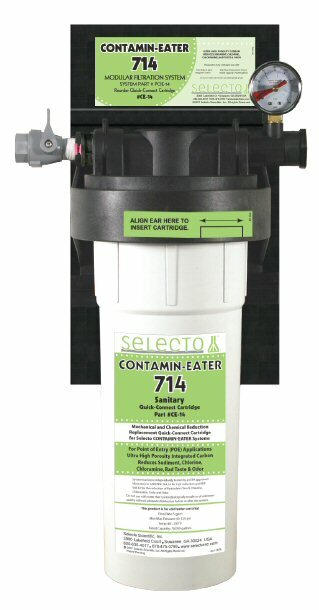 Don't settle for only filtering out sediment and chlorine like most whole house water filters! Remove 99% of dangerous chemicals that harm your health, providing you with safe, great tasting water for drinking, bath and shower. Experience: softer skin, silkier hair, and better health. If your water is disinfected with Chloramine, removing it will also protect your appliances, water pipes, and stainless steel. 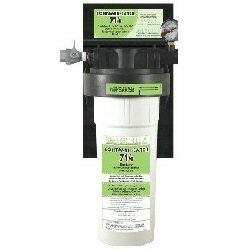 Also, if you have chloramine in your water you need a filtration media capable of removing both chlorine and chloramine. Our Hollow Carbon media can't be beat! * Flow Rate: 7-8 GPM. Plenty for homes 2500 sq. ft. or less. Reduces: Chlorine, Chloramine, Sediment, Bad taste & odors: ammonia, hydrogen sulfite, metallic tastes, Cysts: Cryptosporidium Giardia, Entamoeba, and Toxoplasma; THM's, VOCs, MTBE, Organics, Tannins. I just wanted to let you know that I finished installing my water filter today and just took my first "filtered" shower. WOW!! What a difference!! Our skin and hair feel much softer without the chlorine, etc... in the water. I attached a picture of my installation job (with by pass system).. with this email. Thank you so much in recommending the Shark Bite fittings they worked great!... I used them on the connections to the filter and that was definitely the answer to that problem, because I ended up having to adjust the fittings slightly to get a leak less seal. The Shark Bites saved me from having to use a plumber and they also allow me to take care of any maintenance or repair issues that may come up in the future with the system. Another great thing is...I don't notice one bit of loss of water pressure either... so that's a wonderful surprise as well.